The strategy for the new Alitalia was unveiled earlier, with an unequivocal commitment by the new executive team and strategic investors to reinvent the airline. The new Alitalia commenced operations on January 1st 2015, following the completion of equity investments by Etihad Airways and Alitalia’s existing shareholders. The new company’s board meeting yesterday ratified the business strategy, which was outlined today by Luca di Montezemolo, chairman of Alitalia, Silvano Cassano, chief executive of Alitalia, and James Hogan, president and chief executive of Etihad Aviation Group and vice chairman of Alitalia. 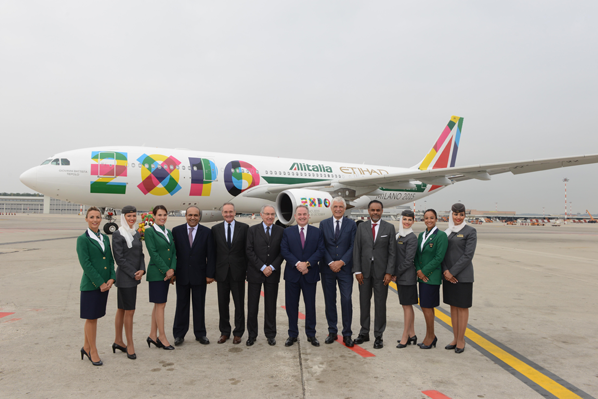 di Montezemolo said: “The energies, passion and expertise I have experienced at Alitalia in recent weeks do not leave any doubt that the airline we’re unveiling today will become once again a premium Italian airline recognised worldwide. “This is why I believe the people in Alitalia are a pillar of the history we’re about to write. “Our priority is to put the customer at the centre of everything we do. And to do that, we will change many things, starting with the way we work. “We need to work as one united team to achieve this great common goal. “In a market still beset by the continuing Eurozone crisis, anything other than rapid, decisive change is simply not an option,” he said. “We’ve invested in the new Alitalia because we believe it can flourish again. It will only succeed if there is 100 per cent support from everyone. Hogan said that Alitalia’s major investors had set a clear deadline for the airline to deliver profitability by 2017. The new Alitalia will operate a new three-hub strategy in Italy. 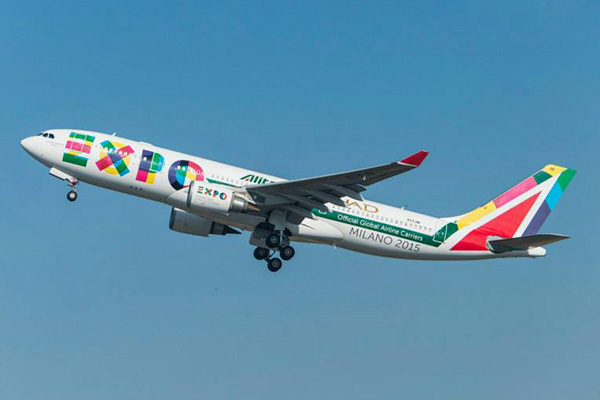 Milan Malpensa will increase long-haul services, while Milan Linate will increase connectivity with partner airline hubs. Rome Fiumicino will grow long-haul flying and continue to expand short and medium haul flying to maintain relevance to the Italian market. While exploring further opportunities to deepen the relationships with Skyteam members and in particular Air France/KLM and Delta, there will be a major new partnership with airberlin & NIKI, as well as increased connectivity with Etihad Airways. There are also plans to work more deeply with Air Serbia and Etihad Regional. These partnerships will increase customer choice across many markets. Alitalia and Etihad Airways and its partners are exploring opportunities to improve jointly fleet efficiency. For example, Alitalia is in the process of relocating 14 Airbus A320s to airberlin, and looking into options with Etihad Airways to acquire additional wide-body aircraft for Alitalia. Alitalia will also have opportunities to receive aircraft from Etihad Airways’ existing fleet orderbook. A new customer-first culture, with new product and service standards across the airline. A new Customer Excellence Training Academy will deliver skills to all customer-facing staff, while customers will experience traditional Italian hospitality, new food service options, new-look lounges in Rome, Milan Malpensa and Milan Linate. Alitalia will launch a new brand and visual identity, covering aircraft, uniforms and all other customer touch-points. While the name will remain unchanged, the new branding will seek to capture and embody the essence of Italy. Outlining the airline’s new strategy, Cassano said: “The new Alitalia strategy is serious, it is exciting and it is commercial. “It is a strategy for success – if everybody delivers. “And it is commercial because that is the only way this can work. “Every single employee at Alitalia has to get into a commercial mindset, one in which the basis of every decision is: Does this add value to our customer? Does it add value to our company? And does it help us to deliver a financial return? “We need to create a performance-based, customer-focused culture which results in a sustainability profitable airline, one which can grow over the long term. Cassano added: “A successful Alitalia means jobs, it means trade and it means tourism. hoteliersfriend: finally! an all new representation company with a hotel-centric approach!